SHUTDOWN JOBS. Qcon Company shutdown jobs in Qatar. 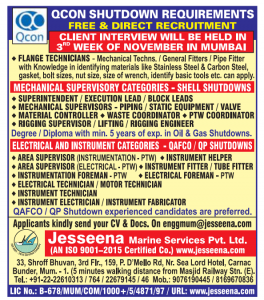 Latest updated jobs in qcon Qatar .one of the leading company in Qatar having following positions for shutdown jobs.